Nyiragongo Volcano hike in Congo sets off at the Kibati ranger post 17km from the Goma town which is also the border post diving Rwanda and Congo. This 3 days Congo volcanoes hike will set off from Kigali Airport, Goma Airport or even from Kisoro in Uganda or even Kabale. However, if you are planning to be picked from Uganda, we urge you to arrange for an early pick up. Not so many accommodations in Congo to choose from, but we have many alternatives in Gisenyi ranging from back packers hostels, mid-range to even luxury. All these lodges are built and located along the Lake Kivu area which also reminds you of the French and Belgian building and road set up. Your 3 days Nyiragongo Volcano hike in Congo. Day 1 – Our journey for the 3 days Nyiragongo Volcano hike will kick off from the agreed pick up point and head to Congo. Depending on your desire, we may sleep in Congo or right on the border post and we cross right in the morning after opening up the migration and health offices. We drive straight to Kibati ranger post on a rough and dirty molten rock filled road from the past 2002 Nyiragongo eruption. Day 2 – All will be set with our hiking gear and backpacks. We believe you will be physically fit to climb and health-wise okay as we shall be climbing 11,380ft for a night at the summit. Tents shall be erected for the night by the porters and food and some tea or coffee to warm you up prepared. 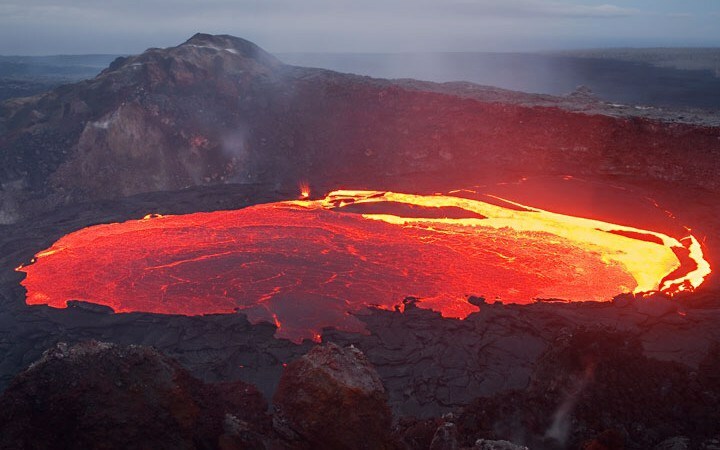 Set your cameras ready for a great night of the glowing fire and beauty from the Lava Lake of Nyiragongo Mountain. Day 3 – Descend from the summit at 6am back to Kibati. We believe that you will reach the base and starting point in 4-5hrs while descending. Back to your car, bye to the porters, exchange pleasantries and drive back to our next destination or drop off point. End of your 3 days Nyiragongo Volcano hike.